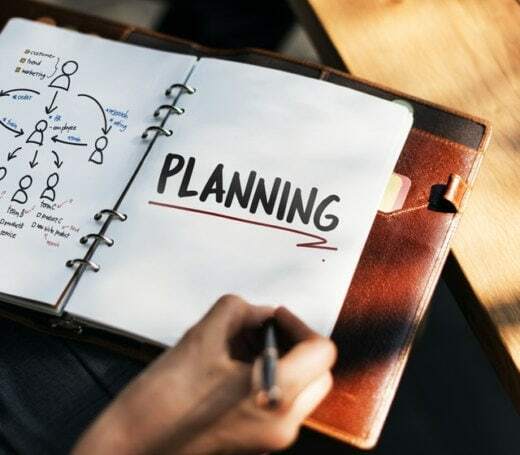 Planning, building and implementing a marketing strategy without any gaps is critical for building your business selling digital products, online training or coaching. We've provided you a marketing funnel template in the form of an Infographic to make accelerate your process of identifying your strengths and weaknesses. When you have a marketing funnel properly installed into your business, what you really have is a lead generation and sales conversion machine working 24 hrs a day, 365 days a year. When you’re a new or small business and you’re trying to grow, you know the value of generating more targeted leads. Developing a constant flow of new inbound qualified leads is the lifeblood, the oxygen of any business. Once your business has matured, the goal is to increase the lifetime customer value (refer to the Ascend stage below) and decrease your customer acquisition costs. Without a flow of relevant leads, you're dying a slow death. With them, you can quickly scale the growth of your company and generate vital profits that provide the income and lifestyle you deserve. You also create a business that can have a high business valuation and be a sellable asset when you possess marketing funnels. In this must-read guide you will learn how you can utilize this 4-stage marketing template to help you build a platform and a business that can be sold for top dollar. 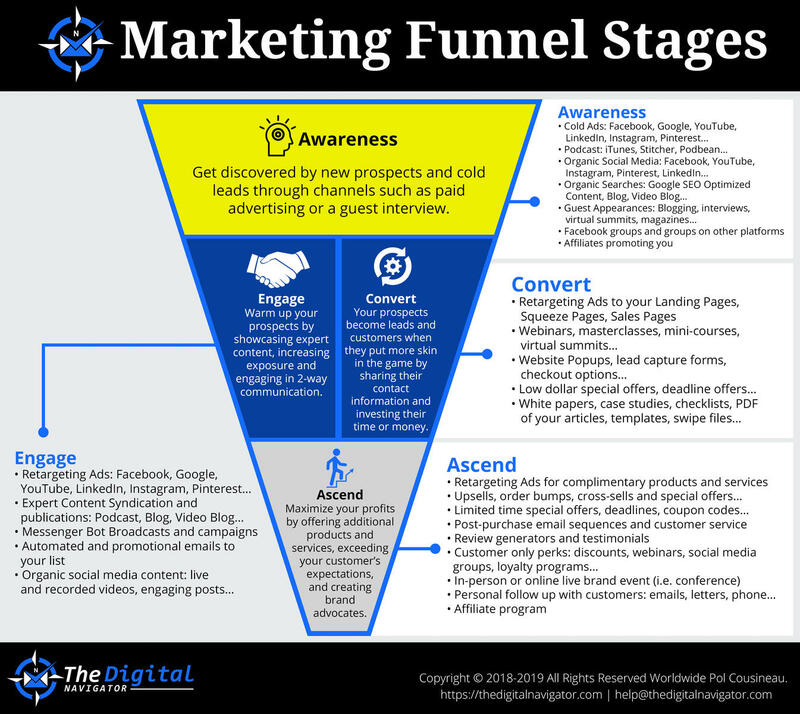 Note: You can get a copy of the Marketing Funnel Stages Infographic as well as examples and fillable templates in our Free Sales Funnel Stages Templates Pack. You can download a copy or read our in-depth article on Sales Funnel Stages which contains sub-steps to the ones discussed in this article. Pro Tip: When mapping out and creating assets for each of the 4 Marketing Funnel Stages, it may be tempting to start at the top with Awareness. I recommend that you do the opposite: determine your Ascend stage offer as it is your most profitable. Then work your way backgrounds by breaking down your Ascend offer into smaller components for each of the stages. You’ll save advertising dollars and get better sales results. A process for turning cold prospects into customers and loyal advocates through marketing and relational strategies. There may be other funnel definitions, but the main thing you want to remember is that it is the process of building a relationship with your target audience that transforms into a customer relationship through your marketing and promotional efforts. The companies that grow fast are those that view their marketing efforts in a series of stages of the funneling process. You may build a strict lead generation or classic purchase funnel which leads to a single offering, or implement a sales system which has multiple assets for each stage of the marketing journey. When using the preferred sales system approach you can think of it as a choose your own adventure story like the books that were published many years ago. This means having multiple solutions available so that your prospects and clients can choose the one that bests help them overcome their challenges and reach their goals rather than trying to shove an offering down their throats. Back to the marketing journey. You have to imagine that your client is frozen solid in a block of ice. If you want to get to them in order to have a profitable relationship, you have to thaw them out and warm them up to you. I use this analogy because mentally and psychologically they are encased in a block of ice. Everyone in your target audience is skeptical and suspicious. People don’t like being marketed to and they don’t like being sold anything. This is what creates the need of a logical and systematic marketing funnel process. Click the image to enlarge. Looking at this Infographic you can quickly spot your strength and weakness as to plan the next step of your marketing strategy. In other words, marketing funnel stages are needed to take your target audience from suspicious and skeptical to raving, repeat customers! Before we go any further, it is important to note that your free and paid offerings must have actual value. If your goal is to extract as much money from others as humanly possible this will come across. Always think how you can make your relationships win-win! There are several key sales funnel templates that you should refer to for developing your perfect sales system. Regardless of the granular steps of an extensive sales process with all the sales pipeline stages, it is best to strategize your marketing efforts into 4 distinct stages, each with their own measurable objectives. The benefit of this is that it requires less investments to get going and it is easier to setup metrics for optimizing your business operations. Pro Tip: To measure and improve the performance of your marketing stages start from the top down. Review your metrics for the Awareness stage such as number of new visitors, visitors by traffic source, cost per click and bounce rate on your blog pages. If you detect a problem work on fixing it before moving to metrics for the Engage stage. There’s no point in having the perfect upgrade offer (Ascend stage) if no one is signing up for your product (Convert stage). Awareness - This is the first stage of your marketing funnel automation. All stages are absolutely critical to the success of your company but we must start here. Creating awareness about your business is something that must be done constantly, systematically into an ever-expanding audience. The organizations and companies that are always reaching new audiences are the ones that are generating more leads, faster. You build awareness by posting blogs, content on social media, videos on YouTube, podcasts, infographics, memes, image gifs, and other forms of content that people who have never heard of you stumble upon. When they just discovered a piece of your content they become aware of you. It’s important then to have at least one or two methods in which you are sharing high-value, free content so people can become aware of who you are and which offer. This is a difference we previously noted between a classic "popsicle stick" funnel and a sales system. Engage - Once a person becomes aware of who you are you have the opportunity to start building a relationship with them. When they respond to you in some way, we call this engagement. If they become aware of who you are and they clicked on your link in a Facebook post, they respond with a post reaction, or they click the link to your YouTube video and follow your channel that’s also engagement. When they sign up on your newsletter, this is engagement. Engagement is important because it means that they are warming up to you. They are no longer encased in that block of ice - suspicious and skeptical of you - but they have found value in your content and are now responsive to you. Ideally engagement is a 2-way street but it isn't always that way. A reader of your weekly blog post or a person that engages with your automated bot counts as engagement. Their engagement with your content is the first great sign of building trust with them. Pro Tip: Using a tool like Google Analytics, review the average time on page metric by channels to see if people are actually consuming your content. Log into https://analytics.google.com and then select Behavior > Site Content > All Pages and then look for the column “Avg. Time on Page”. You can use the search bar to filter this by entering the URL of your top content pieces such as a featured blog post. Then go to Acquisition > All Traffic > Channels or Source/Medium and locate the “Avg. Time on Page” column. This can show you the average time spent on your website based on different traffic sources. We frequently notice that organic traffic from Google searches is much more engaged with the content when comparing it to paid advertising channels such as Facebook. If you need help setting up, interpreting and taking action on your business analytics I recommend you schedule a complimentary consultation by clicking here. Convert - Conversion is the sales stage where a person who has been following you becomes a customer. Sales conversions are obviously something you want to see a lot more of, right? Then you want to be sure that you are offering a good process to take people from being a follower, fan, or e-mail subscriber to becoming a paying customer. As you are creating engagement with them, the next and most important thing you want to do is make a firm call to action - CTA - in every piece of content that you provide. 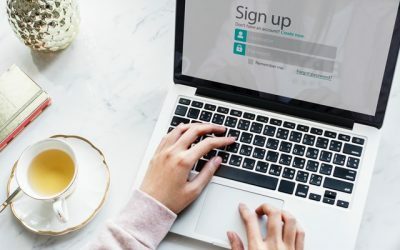 A call to action does not always mean asking for the sale – it could mean asking them to opt in in order to receive a free sales letter template. When a person subscribes to receive your free gift, you may then ask them if they would like to buy a low price offer in the $5-$50 range. This would be called an entry-point offer, and is a great way to convert people from prospects to customers. For your offers to convert they must be congruent with your content. This is a good time to pause for your to reflect. Is the product or service your are offering aligned with the content you are syndicating? Many times when I see high lead capture percentages with low sales it is because of this lack of alignment. There is one exception to the convert stage. Growing up speaking the French language I quickly learned there is always an exception to the rule! When a person invests a significant amount of time this is also part of the convert stage, even if they haven't paid you anything yet. This is because their time is also considered a form of payment. An example of this is when people attend our Free 90-Minute Training on How To DOUBLE Your Digital Content, Coaching or Consulting Business in 12 Months or Less. Ascend - From the conversion stage you then want to persuade people to move up to your higher paid offers. This process is called ascension. Savvy marketers are often times willing to offer “loss leaders” in order to entice a prospect to become customer. You see this all the time with “doorbusters” where they intentionally attract a ton of people into the retail store through an incredible low-priced offer. Once you’re in the store though, like a magnet, you end up buying all other sorts of stuff. In other words, you ascend. As a licensed CPA in Quebec, I learned how vital this is to the profitability of any business. The ascend stage contributes to improving your lifetime customer value. Those with membership sites tend to be more familiar with this metric. Know that potential investors in your business will also use this to evaluate the worth of your business. Typical offerings for the ascend stage are products and services that will help your clients reach their goal faster or more easily. Complimentary offerings are also a good fit. Another way to look at it, is once your client reaches their initial goal, what is the next problem they will be looking at solving. Planning will pay for itself many times over which is where your marketing funnel strategy comes into play as well as our Infographic which will speed up this process. To learn more in-depth information about the sales funnel stages you need to be aware of, check out our sales funnel stages article. You’ll learn sales funnel software, info on creating a sales system from scratch and get examples you can adapt for your own business. You should also download our marketing funnel template for fill-in the blank brainstorming templates you can use to map out your sales funnel stages. These easy-to-use templates are a huge value in helping you plan each stage of your marketing funnel. The pack includes the Infographic featured in this article. Pro Tip: Pause. Take a deep breath. Really, it feels good. Before you move on I strongly encourage you to take 10 minutes and map out some asset ideas for each of the 4 stages. With so many things to do it is easy to jump from one thing to the next. Whether you download our templates pack or you use a whiteboard I want you to take this information and apply it to your business. Filling in the gap in your customer acquisition process will result in faster growth for your business. Want more resources to turn your business into a sellable asset? Depending on where you’re at we have several ways to support the growth of your digital product, online training and coaching business. If you haven’t done so already, download our free Sales Funnel Templates Pack or Digital Product Sales Page Checklist to help you convert more customers with your sales page. The other option is for you to apply for our Predictable Sales Funnel program where we’ll help you install a system for acquiring new leads and turning them into customers. This is great if you are in the early stage of your business, or are wanting to sell a new product or service. Finally you can attend our free training on how to double your digital content, coaching or consulting business in 12 months or less. In this 90-minute training you will learn strategies and tactics for making tweaks to your marketing and technology platform that can increase your profitability without spending more on ads. You’ll be invited to take notes from our client examples so that you can get similar results in your business. Why are marketing funnels important for your digital product online training or coaching business? Well the reason is the value of your company depends on having repeatable systems that generate income and profit, and that's really what the business is all about. Having the proper marketing funnels allows you to achieve that which means that you're going to turn bigger profits. If you decide to leave the company the business or sell it, then the person acquiring it will have a means to generate income and profit regardless of you, that means that they're going to be willing to pay you a higher premium. 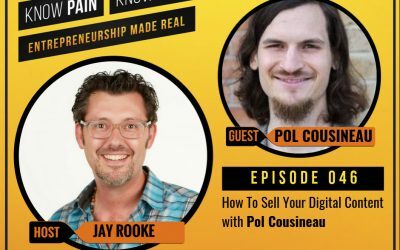 I'm Pol Cousineau, the President of The Digital Navigator, in this episode I'll be walking you through some of the aspects of the marketing funnel using a template that we generated. You can grab that template on our website and you can take a look at our infographic as well by going through our articles. Let's go back a little bit to the importance of having a marketing funnel because for you to want to do something for your business there needs to be a benefit. If we look at the concept of a marketing funnel, what is the definition? We have a unique definition at The Digital Navigator and it's a process for turning cold prospects into customers and loyal advocates through marketing and relational strategies. Notice the relational strategies here. We're all about human to human. If we're going to be creating people that are advocates of your brand meaning they're going to be referring other people, they're going to share your content and they're going to tell others about it. They might even send you some business. They want to feel like they have an actual relationship with you but you have a connection. They're seen for more than the dollars that they're bringing in. Do you want to be seen for the different qualities that they have and be recognized? This is where I find a lot of businesses that are selling digital products, infoproducts, online training and coaching sometimes miss the pole. They think too much about the mechanics and then they forget their human aspect of it. Obviously you want to have some great strategies and tactics but that's not the end-all be-all. So then once we understand that this is a relational process and we're going to be using marketing from bringing a co-prospect turning them into a customer and ultimately a loyal advocate. How does this benefit your business? Well for one, you should have multiple assets in your business that are bringing up the value meaning that people are going to want to pay for that. If you look at the traditional brick-and-mortar business that could be some of their fixtures, that could be owning a building, it could be some patents but for an online training business that's a little bit different. What are actually the assets that you have in your business right now that are worth something? Just take a moment and think about it, most businesses don't have these assets in place. They might even be delivering their courses through a platform such as Udemy or Kajabi, that they don't own and they don't have much control over the terms when they're selling their own products. That would limit the valuation of your business whenever you would be ready to exit. Now you might have your email list your client list and you may have recorded some products as well like do-it-yourself training programs that people can buy and attend but if you don't have a mechanism that someone else can reproduce to generate income such as having enrollment into that online course that you have. It's really is it worth much and this is where the marketing funnel comes into play as well as this infographic that we created for in funnel stages. It really gives you a tool to bring in consistent and repeatable revenue and income inside of your business. It creates as well a platform. So let's say that you're creating for the different stages of your funnel some assets it might be an infographic, it could be a checklist then you can have a mini course after that there could be another program that be enroll on. As long as all those elements can be repeated or reused then that's starting to build a platform in a system of assets that would actually give value to your company. An easy way to think about it is if you were to leave the business, would it continue to operate by itself? Would it continue to generate a profit? If you replace yourself with a manager or another owner would it be able to turn the profit. When you have a proper marketing funnel or sales funnel the answer should be yes, unless everything depends on your for fulfillment which that's why a lot of people that have a coaching business are going to be creating these info products and trainings that bun depend on them delivering that one-on-one or one-to-many coaching services. Now I want to dive into the marketing funnel stages. If you are watching the video or you can read the article on an article page on our website https://thedigitalnavigator.com, I invite you to use so now because having the visuals will help you. Again we want to remember that this is a relational model and it's not popsicle sticks there can be many elements and actually we do recommend that there are many elements and assets for every stages of the marketing funnel. So what are the four stages? All of these can be broken down in many smaller bite-sized steps. If we step back we see four key stages- Awareness, Engage, Convert and Ascend. This creates a model that's sufficiently simple for people to understand, implement but it also has all of the necessary steps to create those customers that are brand advocates that will refer to a little bit earlier. At the Awareness stage this is where your business gets discovered by new prospects and cold leads through channels such as paid advertising or guest interviews. Here you want to use a medium that you're the most comfortable with and that you can create an either contact regularly or that you can have a constant flow of leads perhaps through a monthly advertising budget. You're going to be wanting to run things like cold ads on Facebook, Google, YouTube, LinkedIn, Instagram, Pinterest and these could go to some of the downloadable assets you have available. It could also go to some of the videos you've produced a podcast, expert appearances, articles you've written any type of content then you feel can highlight your expertise to your new prospects. Your goal here although would be nice to sell is not to sel,l it's really to start that relationship and demonstrate that you can add value. So you want to think about the problem that you're solving and then create those assets accordingly. Then the next stage is Engaged, where you warm up your prospects by showcasing expert content, increasing exposure and engaging in two-way communication. This can happen when you send out regular content through email, you may be engaging in a Facebook we're going back and forth. Perhaps you're using a messenger bot but you're actually responding to your different prospects, you're answering their questions, you may have a phone number where people can reach out to you encourage people to reply to those emails that you're sending to an automated system. By having that engagement you will be warming them up and then starting that relationship similar to going on multiple coffee dates as you're getting to know a person. Whether that's a romantic relationship or a business relationship. To exposure there is that familiarity that starts to occur and then although your prospect may not need your services right away. When they need it you're going to be top of mind or at least you're not going to be a stranger so you have more odds of acquiring the business than your competitors that might only be and the awareness stage but haven't really engaged with these prospects. We recommend that you use a content strategy that has consistency for the engage so that can be again publishing something every week or every other week but you should have a calendar and an idea of how often you're going to be publishing that content and what type of content that your audience will enjoy. Then we've got the Convert stage. The Convert stage is where your prospects are becoming leads and customers by putting skin in the game. They're going to be investing their time and/or their money. After watching a video that you created or you're listening to an interview or they're reading an article that you wrote. They're investing their time so the conversion starts to happen, now if they're going to be spending some money even better. So as you can probably see now there are multiple steps in the conversion and that's why we wrote an article on sales funnel stages where in there we have several entry point offers and we explain a more advanced funnel. You may want to read that to our website and the articles that are available so one on sales funnel stages. At the convert once a person has invested their time and even more their money, they are now right for the Ascend stage, which is the last one of their marketing funnel stages. This is where you're going to be maximizing your profits by offering additional product services as well as exceeding the expectations of your customers. So you always have to deliver on your promise, equal to your promise or even more and by having that extra value. This is where people are going to take out your brand in your business and what you offer rocks, and they're going to want to share that to other people. So then if someone bought an entry program it might be a $97, $497 course from you. Then on the ascent stage you're going to offer them something that will help them achieve their goals faster or more easily. So you could coach them to implement what was thought in the training or maybe you can invite them to join a mastermind program. The other thing that you can do is offer them a second higher priced training that will solve the next challenge that they're going to have after they achieve their first goal. So let's say that you have a program and it is a spiritual niche, because we work with a lot of people in that area and it's helped that your first training is helping people to meditate. An introduction to meditation and that could be you know $50 or $100 program, once they've accomplished that and now do you feel hey I can meditate 5 or 10 minutes every day that's great. What should you be doing as the next step of their spiritual or personal development journey. That's for you as the expert to know what that is and make a recommendation. Perhaps you could host a retreat and to that immersive environment it can bring them new experiences, new levels of awareness, new understanding of those spiritual concepts and how that relates to their life. So you could have an automated email campaign, you could be doing Facebook live streams videos or a webinar promoting that retreat and inviting people to it. 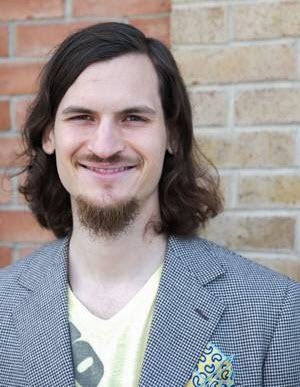 You can also decide to send out personal invitations through regular mail to some of the graduates of that meditation program to come to your retreat. That all fits into the Ascend stage. Now you might be wondering, is this going to be valuable for me if I already have a business that's making six figures? The answer is Yes! When you look at the marketing funnel stages you will notice that there are areas that you tend to be weaker and there are other areas that you tend to be stronger. 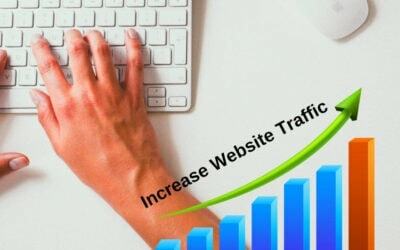 By strengthening those weak areas, you can generally increase your conversion rates in your sales significantly, we've seen double-digit increases. I don't want it true like specific numbers out here, because this is a broad video but please know that you can make no significant growth. Then some of the times what we've been seeing is that those bigger businesses have areas that are very manual or that are not documented. So let's say you do have an engagement strategy and your publishing blogs regularly and you're you might be hosting a video series but there's no documentation about that. Well then that could be the next step is evaluating, where am I publishing this content? Do I own that platform? If I sell my business will someone be interested in that? Are the steps properly documented so that someone else either and you hire someone that gets promoted or someone that acquires your business will actually be able to replicate those steps in that engaged stage? By completing this exercise you will be able to have a business that's more resilient that has happier customers and ultimately is more profitable. If you like this video then we encourage you to like and comment wherever you're watching or listening to this as well as visit our website the https://thedigitalnavigator.com. There we've got some great resources so you can depending at the stage where you're at and how familiar you are with us, you can get started with some of the downloadable resources such as some of the sales funnel templates pack that can be downloaded, we've got some checklists for helping you improve your conversions you'll find all those on your websites. You could check out our predictable sales funnel program which will be on one of the main tabs on our website where we can help you build one of these machines for your business. We also have some different trainings that you can watch and we've got various trainings on the training tab and I invite you to check all of these, have a wonderful day!